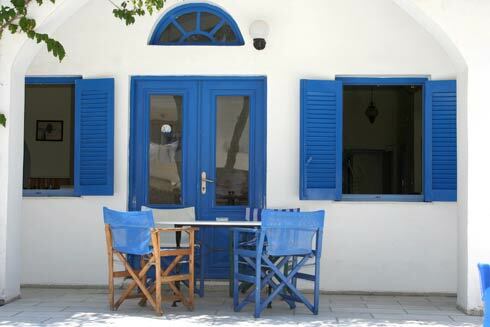 Santorini, otherwise known as the legendary island of Thira, is quite unique. The beauty of the Santorini captivates visitors from all around the world who come marvel at the unparalleled views and idyllic sunsets. It is not a question of simply liking Santorini - visitors find themselves enchanted at first sight and leave with memories that stay with them for a lifetime. There are numerous sights of interest : traditional villages, archaelogical sites such as Ancient Thera and Akrotiri as well as magnificent churches spread all over the island. 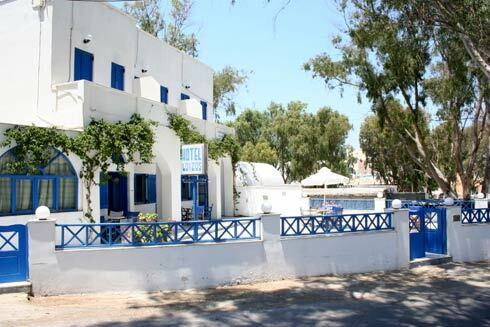 LOIZOS HOTEL can be found in the village of Messaria, approximately 2,5 km from Fira the capital, A few minutes drive takes you to the nearest beach and airport. 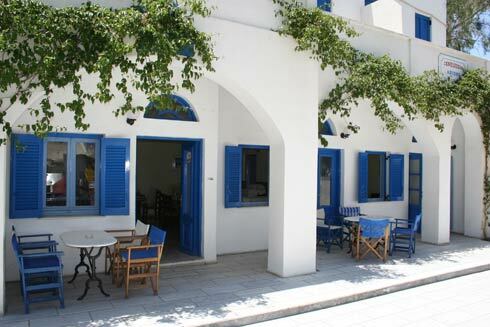 Hotel facilities include a Breakfast room, and sitting room, while all the rooms are equipped with a TV, telephone, fridge and air conditioning Outside the hotel there is a bus station that connects to all island destinations as well as restaurants, a medical centre, mini markets, rent a car and rent a bike services. 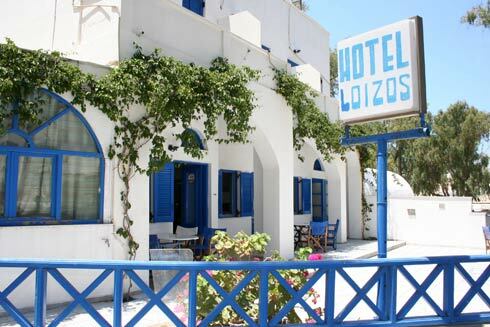 With a quiet location, friendly atmosphere and reasonable room rates, Loizos Hotel guarantees an unforgettable holiday in Santorini.